The thought of moving out can be both exciting and a total nightmare! In fact, moving out can be one of the most displeasing tasks because of the time sacrificed and dedicated towards the pre and post procedure. Through all of the cardboard boxes and dire lifting, starting out in a new home is an experience to remember. Before you change your location, you might want to consider some things to make the process easier and more pleasurable. Prep one or two months in advance! This process doesn’t necessarily cost money, but can take up a lot of time. It’s important in order to make your move out day go smoothly so you can have everything ready to go after settling in, so give yourself enough time. After the hectic process, you don’t want to stress about anything more. Expenses: Budget one-off and ongoing costs! Moving out is a long process, and it is important to stay financially stable throughout it. Utilities: Set up or decide on the electricity, internet, water, gas, phone, TV/cable connections. Insurance: Update your current car/medical insurances. Sometimes addresses in different locations can raise or lower your insurance rates. It’s even important just to update your location status. Billing/Mailing: Redirect all forms of mail to your new address, including any memberships/subscriptions, banks (local/regional), insurance, any other financial accounts, postal services, etc. You don’t want to be missing any important files coming to you! Relocating is already a great expense, so you don’t want to spend any more unnecessary additional costs if there are alternatives! Used Boxes: Don’t buy’s new boxes! Boxes can get expensive, so find used ones online or wholesale, like Bags & Bows, for cheap. Some stores may even have extras they can spare or give. Label: Label everything! The last thing you want when unpacking is not knowing which box contains what. You can even label with different duct tape or colored coding for the boxes of items you’ll need first. Downsize: Go through your things and sell/donate/dump things you don’t need or any junk. No one likes clutter. Start fresh with only things you need, and leave space for new things you will buy for your new home. Selling: Sell the things you don’t need, don’t have room for, or feel are too valuable to give away! Try selling stuff online on sites like eBay or Craigslist, or have an old-fashion yard sale. Earning a little extra cash is always a good thing. Dumping: For getting rid of larger furniture, you may need to rent a dumpster or container, so you can save yourself from breaking your back, and making dozens of costly trips to the dump. Dumpster services like Cali Carting provides dumpster rentals for many wastes and recyclables and will save you time and energy. You don’t want to be sleeping on the floor on the first night of moving into your new place. Start shopping for any new furniture you need or for any replacements for things you left behind. Costs: Don’t get sucked in by deals! Be patient with shopping. Going for “0% down” offers may sound like a smart, fast, and easy idea; however, it can lead you to actually pay a significant markup price. Quality: Quality, not quantity! Try not to buy used furniture if you can avoid it. 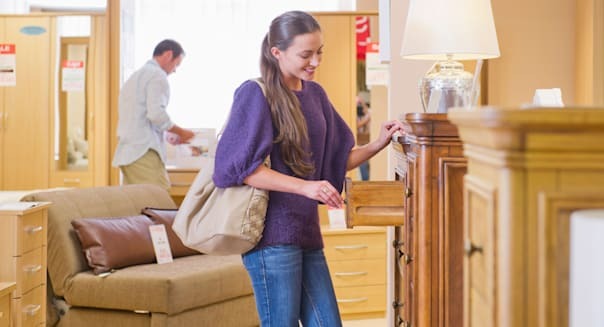 Yes, buying new and good quality furniture is expensive, but it will last much longer. Of course, this varies depending on if you are moving in to a temporary place or if you are planning on staying for a longer or permanent time. Check out furniture stores like Ikea and Pottery Barn for inspiration as you decorate and furnish each room. Aesthetic: What vibe do you want in your home? Selecting furniture includes thinking about color schemes and design to create the energy or feel you want. Bring out your creative side! Pottery Barn even offers free interior design services! After you have packed up your boxes and purchased your furniture, you’ll need help moving all your stuff to your new place. Before you start planning your numerous back and forth trips between homes with your car, evaluate some things to make the process easier for you. Hiring Professional Movers/Moving Trucks: This might be an obvious, but hire them sooner than later! You want your movers and moving truck ready for you on the big day. 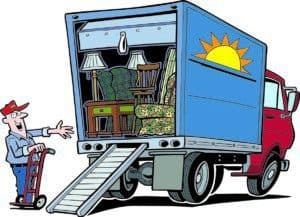 Gentle Giant offers highly trained moving crews that will have your things moved safely and securely. Shipping Options: Are you making a cross-country move or an in-state move? If you are moving a few states away or even more, you don’t need all your stuff immediately. It may be even easier to have your stuff move in slowly, one at a time. An affordable shipping option for large items you can try is Greyhound. Read the Fine Print: Some movers will only move boxes, and anything else beyond that is an additional price. 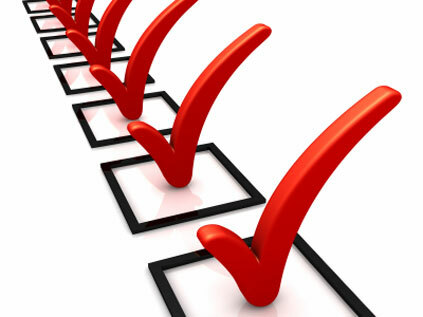 Make sure your professional moving company can move everything you need, so do some research! Good luck moving in!! Just remember to prepare accordingly a few months prior to save yourself from last minute stress!